Lesson 1 – The Auto Repair Estimate and Setting Up The Work Environment. This a a video overview over lesson 1. This lesson covers what an auto estimate and a supplement are, how they are generated, who needs auto estimators, and provides tips for setting up an estimating environment. As an estimator, it is important to fully understand what all purposes the estimate serves. It’s also important to properly set up the estimating environment to become efficient at generating thorough auto estimates. Auto repair estimates are called different names, including damage report, damage estimate, and auto estimate, but they are all basically the same thing. A damage estimate, however, is more than just a sheet of paper listing the total cost of repairs. An estimate is a contract or a mutual agreement between two people. As with real estate, the owner and buyer must agree on a price and sign a contract of their agreement. An auto damage estimate is done the same way, as there should be an agreement between the repair shop and customer, and the customer should sign the agreement to authorize the repair shop to repair the vehicle. One thing the estimator must explain to the customer, which is often misunderstood, is that the total amount is just an estimate. Auto repair estimates do not guarantee the exact amount of the final invoice. There may be hidden damage, parts price adjustments, or many other factors that may change before the vehicle is completed. As an estimator, it’s your job to have excellent communication with the customer. You need to let the customer know that the estimate is subject to cost adjustments. You must also help the customer understand that the estimate or signed agreement is only good for items written on the estimate. If any additional work is needed, you will need to contact the customer and agree on the new amount. When additional charges need to be added, the estimator will need to generate an additional estimate. This is called a supplement, which may include additional parts or labor as needed. As mentioned, the estimator must contact the customer to let them know the amount of the supplement. An accident usually results in a claim with an insurance company. Therefore, if there is a claim, the estimator is also responsible for communicating with the insurance company. I am not going to get into how to deal with insurance companies, as the procedures each insurance company follows differ from one to another. If you represent a direct repair program (DRP) with an insurance company, then there will be specific procedures to follow when submitting a supplement. This book is focused on the relationship with the customer, because the customer who brought their vehicle to your repair shop trusts that you will properly repair it to its pre-accident condition. The customer is also the person who will continue to use your body shop for their collision and painting needs. So always put the customer first and strive to provide stellar service and customer satisfaction. Once the customer and insurance company agree to the additional supplement charges, the repairs can continue. The final invoice will include the charges of the original repair estimate and the supplement. Auto repair estimates used to be written by hand using Mitchell (or other publishers) estimating guides. This involved writing all the damage on an estimate form and looking in the estimating guide to get all the parts prices and labor times needed to estimate the job. Then the estimator would calculate the total. Computer-generated estimates have simplified and fazed out most handwritten estimates, but when learning how to estimate, I believe it is crucial to learn all the basics first, which requires estimating guides, a blank estimate form, and a pen. Learning to handwrite estimates is the foundation of becoming an effective estimator. Just as every house or building must have a strong foundation, an estimator must master the basics first. 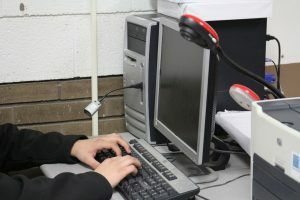 Most estimating guides and computer systems are set up with the same sequence—starting with the front bumper and ending with the rear bumper. This is important to know as you want to write the estimate in the same order. For example, if you are writing an estimate on a vehicle that has damage on the front end, start with the front bumper and move toward the back of the vehicle one part at a time. The sequence also moves from the outside toward the inside, for instance, front bumper cover, front reinforcement bar, front grille, right front fender, etc. When you use this guide, it will be easy to follow along when adding the prices and labor times. Every collision repair shop will need someone to write estimates for its customers. The body shop manager may generate the estimates at smaller shops, while bigger shops may have more than one estimator. I have also heard an estimator referred to as a customer adviser. The estimator meets the customer, generates damage estimates, works closely with insurance companies, and keeps everyone updated on the repair process. Having good communication skills is very important. Insurance companies also need the assistance of estimators. When you generate auto repair estimates for an insurance company, your title may be auto estimator or auto appraiser. Appraisers may generate their own estimates, or they may inspect the damage and agree to the body shop’s estimate. Procedures for authorizing repairs will differ with each insurance company. As with any work environment, it’s important to have the correct working environment when inspecting vehicles and generating estimates thoroughly and efficiently. I remember when most estimates were written out in the parking lot, and some shops may still do it this way. If the estimating area is set up correctly, however, it will help produce thorough estimates with minimal supplements. Good lighting is very important when inspecting a vehicle. Whether you have a covered area, a stall inside the shop area, a separate shop, or are out in the parking lot, you need to be able to see the damage clearly. Regardless of how good the lighting is (shop lighting, sunlight, etc. ), there will be areas of the vehicle that are hard to see. A flashlight will help you see these dark areas. Many times the estimator will need to inspect underneath the vehicle. Ideally, a stall with a lift will be available, which will allow the estimator to inspect and measure the underbody, suspension, and other components under the vehicle if necessary. If you do not have a lift, then have a creeper, floor jack to raise the vehicle, and jack stands to secure it. Raising the vehicle will provide more access to inspect damage below. The auto estimating area must be well organized, clean, and provide an easy work flow to move cars in and out. All tools and supplies should be easily accessible. It would be unprofessional and take unnecessary time to walk through the shop looking for a floor jack or a screw driver. Accordingly, an organized work environment is key when it comes to inspecting and generating auto estimates. The tools an estimator may need vary depending on the repair shop’s standard operating procedure (SOP), but some common tools are shown below. The estimator will need to take photos of the damage. Photos help others see what the estimator sees; they tell a story. 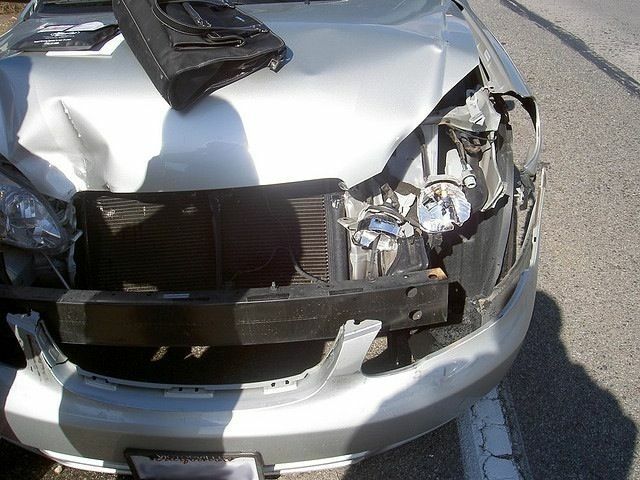 Photos are documentation to prove the extent of the damage to the customer and the insurance company. Photos of the overall damage and photos of each individual damaged part will need to be taken. I have used my iPhone to take photos of damage, but according to Larry Montanez of P&L Consulting, photos need to be of high quality, and smart phones do not produce the quality needed. You may consider upgrading to a digital camera that can zoom in on the damaged parts and produce a high-quality photo. One good thing about purchasing a digital camera is that the expense is over once you have bought it. I remember using 35 mm cameras and having the film developed, which was quite expensive. Another good feature with most digital cameras, including smart phones, is that a video can be recorded for later reviewing or sharing with the customer or insurance company if needed. I mentioned this earlier, but a flashlight or droplight can help you inspect hard-to-see damage. The estimator probably doesn’t need a roll around toolbox loaded with tools, but a few basic tools will be needed, including wrenches, sockets and ratchet, and screwdrivers. In addition to the basic hand tools, a few trim tools for removing clips will also be useful. 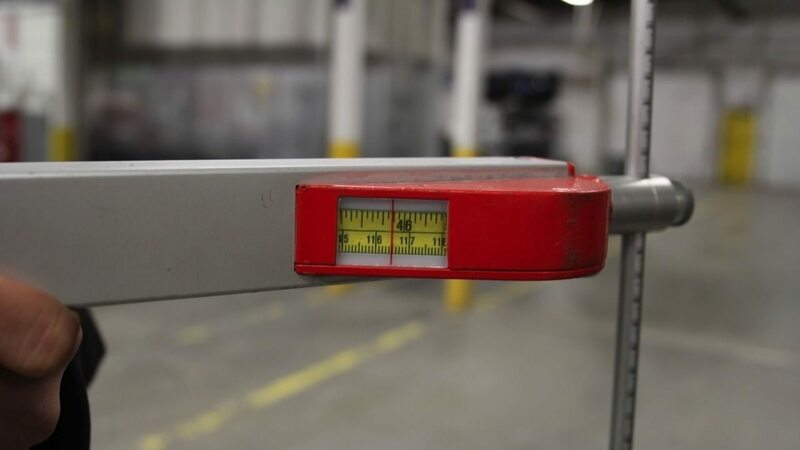 A paint mil gauge is needed to determine the paint thickness on parts that need to be painted. Inspecting paint and paint mil thickness will be covered in lesson 2. A body filler gauge works best, but a magnet may be useful to inspect and determine if parts have had previous body filler applied. Locating body filler too thick may require additional labor. More information for inspecting for previous body filler will be covered in lesson 2. This is an example of a tram gauge used for point to point measurements. Measurements may need to be made during the inspection process. Tools used to measure include tape measure, tram gauge, ruler, and possibly a computerized measuring system to fully analyze the damage. A scan tool may be needed to check error codes that may have been caused from the accident. This can be check engine light, airbag, etc. The estimator will need estimating guides or an estimating computer system for labor times and prices for parts. Most shops now use estimating computer systems. Different systems are available, but the three major systems include CCC One, Mitchell, and AudaTex. Collision repair procedure guides or online databases for OEM-recommended procedures need to be accessible to determine repair methods required for each make and model of a vehicle being worked on. The estimator will need pens, notepads, and blank estimates or whatever method the shop uses to record data during the inspection process. Depending on the estimating system and the standard operating procedure of the repair shop, an electronic device may also be used to record such data. The estimator will need a computer or an electronic device to generate the estimate and a printer to print the estimate. A phone will be needed to make calls to insurance adjusters, suppliers, and customers. The estimator will need to consult with customers, which may be an area set up in the estimating area or a separate office area. Some shops may even have a consulting office for claims adjusters to use when they come to your shop to generate estimates. Are you looking for advanced auto estimating training? I have many resources on this site for you, but there are three excellent trainers/consultants in the industry are listed below for you to consider. I’ve attended their seminars and highly recommend them to you. Who Hires Auto Estimators – Website – Additional information about a career as an auto estimator or appraiser. Paint Mill Gauge – Product Resource – Gauge used to check the mill thickness of paint coatings. 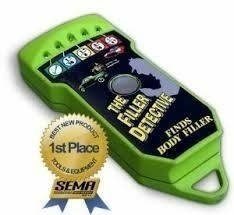 The Filler Detector – Product Resource – Body filler gauge to check the thickness of body filler. One would hope that the shop that gives out the estimate is trying to be as precise and as close as possible to the final amount on the invoice… and not be completely off.